Our products come in a very straightforward packaging that ensures you of safe and airtight plastic seal. We repack each product in a double sealed clear plastic bag container, one plastic sealed inside another plastic that is securely sealed. The containers we use are food grade plastic, highly durable container that can withstand shipping stress. We handle your protein powders with utmost care. Packed in a double sealed, dual 100% food grade clear plastic container that is air and water tight. Each 30 grams serving has approximately 22 grams of Protein from a high quality, economical & great tasting whey protein supplement powder. Each 1lb pack has approximately 14-15 servings. Whey Protein Powder is perfect as a preworkout and a postworkout drink since it has a digestion period of 1.5 to 2 hours perfect to give you that quick protein requirement you need for a good workout, ideal for people who exercise and who want to increase their protein intake for muscle building and losing fat. Whey Protein is also perfect to provide nutritional support for various diseases that is requiring high metabolic demand from the body including Postoperative & Recovering patients, Cancer, Osteoporosis, Pulmonary diseases, Viral Diseases & etc. Whey Protein is a perfect match either mixed with Pure Egg White Protein powder or Milk & Egg White Protein Powder. Whey Protein is scientifically proven to support muscle integrity and growth. Whey Protein has very good amino profile and has one of the most complete. Whey Protein powder is also perfect to enhance the protein value and can be perfectly mixed with fruit shakes, any beverage drinks or even as a stand alone sports or health drink. Our Whey Protein is a blend of Whey Protein Concentrate and Isolate (milk) containing a high protein content & naturally rich in BCAA and glutamine that is great tasting! Product Specs for Whey Protein Powder - HI ISO please Click here! Product Specs for Whey Protein Powder please Click here! AVONLAC™ 282 whey protein concentrate is 80% protein, an excellent source of whey protein instantized to provide superior dispersing & mixing properties for your sports shake & other nutritional applications. Cutting-edge, proprietary cross-flow microfiltration process ensures the highest level of undenatured proteins available. Glanbia with it's advanced whey processing facilities is driven to bring the highest quality whey proteins to market. Ensuring you of an easily absorbable whey protein loaded with essential amino acids that promote general health & wellness -- quality you won’t find anywhere else! This whey protein concentrate offers excellent nutritional value, completely soluble & has a pleasant, creamy, neutral flavor. If you are looking for an unadulterated undenatured 100% PURE Whey Protein Concentrate without all the artificial preservatives, sweeteners, flavoring, colorants and unnecessary junk/fillers, this is your best choice. WPC naturally contains lactose, fat & carbs which makes it as an ideal choice for the lactose tolerant individuals. Each serving of 30 grams yields 24 grams of Protein per serve/dose. PROVON® 292 whey protein isolate is 90% protein, is an instantized, premium, nonfat WPI with excellent dispersability & hydration, & exceptional nutritional properties for food, beverage & nutritional applications. Cutting-edge whey processing ensures the highest level of undenatured proteins available. Glanbia with it's advanced whey processing facilities is driven to bring the highest quality whey proteins to market. Ensuring you of an easily absorbable whey protein loaded with essential amino acids that promote general health & wellness -- quality you won’t find anywhere else! Provon whey protein isolates are a highly purified, pure source of whey protein. Created using the cross-flow microfiltration process pioneered & optimized by Glanbia Nutritionals, Provon has exceptional nutritional attributes such as the full spectrum of undenatured proteins found naturally in whey. 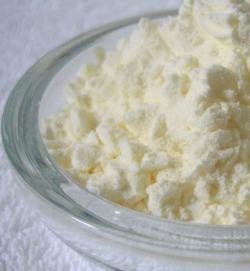 Provon is also soluble in a wide pH range & has a neutral creamy flavor. Completely safe for children, for the healthy and even for illness challenge people. If you are looking for an unadulterated undenatured 100% PURE Whey Protein Isolate without all the artificial preservatives, sweeteners, flavoring, colorants and unnecessary junk or fillers, this is your best choice. WPI contains very minimal lactose, fat and carb which makes it as an ideal choice for the lactose intolerant individuals. Each serving of 30 grams yields 27 grams of Protein per serve/dose. Product Specs please Click Here! This is a 100% dried egg whites powder with no sweeteners and flavors. This is ideal for people wanting good protein source without the accompanying fat or carbs. Egg whites has the highest protein efficiency rating or PER making it the best source of economical protein. With a 0% fat content and negligible carb content, you cannot possibly go wrong in choosing egg whites. Egg whites are the gold standard for all types of protein, best for people who are weight conscious or trying to gain lean muscle mass or wanting only pure muscles in their frame. No more hassle in buying, breaking the egg, throwing the yolk and cooking it! Premium Dried Egg Whites can be stored conveniently and with a high shelf life, it will be a readily available easy on the pocket source of quality protein. Product Specs provided by our US supplier: Click here! With the demand for Casein protein powder but without the expensive price tag, we at Nutrivolv brings you our newest product - Milk protein Concentrate 80%, it is a product that can provide a lasting source of protein throughout all hours of the day. Milk Protein Concentrate is different from regular whey protein; as it contains whey proteins in their native, undenatured structure and is also very rich in Micellar Casein, the natural form of casein in milk. This means Milk Protein Concentrate 80% can supply your muscles with a prolonged release of protein in each serving provides over 24g of protein with an extremely low fat and carbohydrate content. An excellent source of bioactive fast and slow digesting dietary proteins. Milk Protein Concentrate 80% provides casein protein more than half of its ratio, with a huge 24g of protein per 30g serving. Casein protein is known to be a slow digesting protein, meaning casein protein can help sustain appetite whilst providing the muscles with a steady source of protein, essential for the growth and prevention of muscle breakdown. High in protein and low in lactose. Slow digesting protein, suitable as bedtime protein & also taken throughout the day to increase protein intake. Ideally or best taken before bed to prevent muscle catabolism. Milk protein can be combined with water or milk to form a quick and easy protein shake. No Added Artificial Flavor or Sweetener just Pure Quality Milk Protein Concentrate powder! Characteristically globular in texture when mixed in any liquid because of the presence of Micellar Casein, unlike whey protein powder that has a smooth texture when ingested. Product Specs for this product, please Click here! This Sugar Is The Chief Source Of Energy In The Body! Dextrose (also known as glucose) is a monosaccharide or simple sugar that is about 20% less sweet compared to cane sugar. It is derived entirely from corn, is low-cost, and contains no fructose or lactose. Dextrose is commonly used as a sweetener, a source of rapidly absorbed energy and a carrier in water soluble medications like Vitamin C. This sugar is the chief source of energy in the body. Dextrose is perfect as a preworkout and a postworkout mix to any other supplement like whey or any other protein drink, Glutamine, Creatine, EAA & BCAA powder, making it the ideal carrier for all these great supplements to be absorbed rapidly, when your hardworking muscles need it the most. As a preworkout addition dextrose being a simple sugar replenishes your existing muscle glycogen and as a postworkout replaces the lost glycogen store in your muscles. Our Dextrose Monohydrate is Pharmaceutical & USP grade dextrose for human consumption. This is repacked in a double food grade clear plastic sealed that is air and water tight. Oat Muscle Fuel Powder is mixable with a spoon or shaker, best added to your Protein Powder to make as a Healthy Thick Meal Replacement! Making you feel full longer. You will have less hunger and cravings. Oat provides both insoluble and soluble fiber that is highly beneficial in lowering your LDL, naturally containing Beta-Glucan that lowers cholesterol and supports the immune system. High in Manganese, Selenium, magnesium and Zinc which support natural healthy hormone production in your body. Among the Highest Protein Content among Cereals and Oat Protein is nearly equivalent in quality to soy protein which makes it's Amino Acid Profile very excellent and not putting to the side it's essential fatty acid content which makes Oats a very healthy carbohydrate source. Oat Muscle Fuel is our newest carbohydrate product is considered one of the "holy grails" on the bodybuilders carbohydrate list. Oat Muscle is the perfect choice of carbohydrates for anyone wishing for a lean, muscular body. Use Oat Muscle powder to help support the supply of the body with glycogen replenishment and at the same time support the sparing of amino acids for muscle. Unless you have been living under a rock for your whole life, you will know that in order to lose body fat and gain muscle mass you need frequent meals consisting of protein and carbs, every bodybuilder and/or nutritional expert knows this, but the carbs must be low glycemic. Unfortunately your choices for powders have been limited to maltodextrin, (a high GI carb, not good for body fat reduction). Our Oat Muscle Fuel Powder is a "lean muscle" carbohydrate specifically manufactured for bodybuilders and health conscious people. Very user friendly! Oat muscle does an excellent job of masking bad tasting ingredients. While most companies still you maltodextrin in their meal replacement powders and Muscle Gainer formulas, this is no longer the choice carbohydrate. Oat Muscle should now be used in place of maltodextrin. Our Oat Muscle Fuel Powder is guaranteed whole grain oats and comes pre-cooked, so all you need to do is mix it with water, some protein powder (any choice of flavor) and you can add in fruits or berries for a complete meal replacement, on the go! Fuel your muscles to grow lean without the added fat! Our Bulk Creatine Monohydrate capsules are Pharmaceutical Grade HPLC Micronized creatine from the US. Our Creatine Monohydrate Capsules is approximately 700mg per capsule. Creatine Supplementation is best taken before and after intense serious workouts to make muscles stronger, leaner and gives you that muscular endurance and recovery that you need for a good fulfilling workout! Take with water and hydrate yourself well during exercise with Creatine. Product Specs for the Creatine Monohydrate powder, please Click here! We are also selling Pharmaceutical Grade HPLC Micronized Creatine Monohydrate powder, that is dispersable mixed with just water. 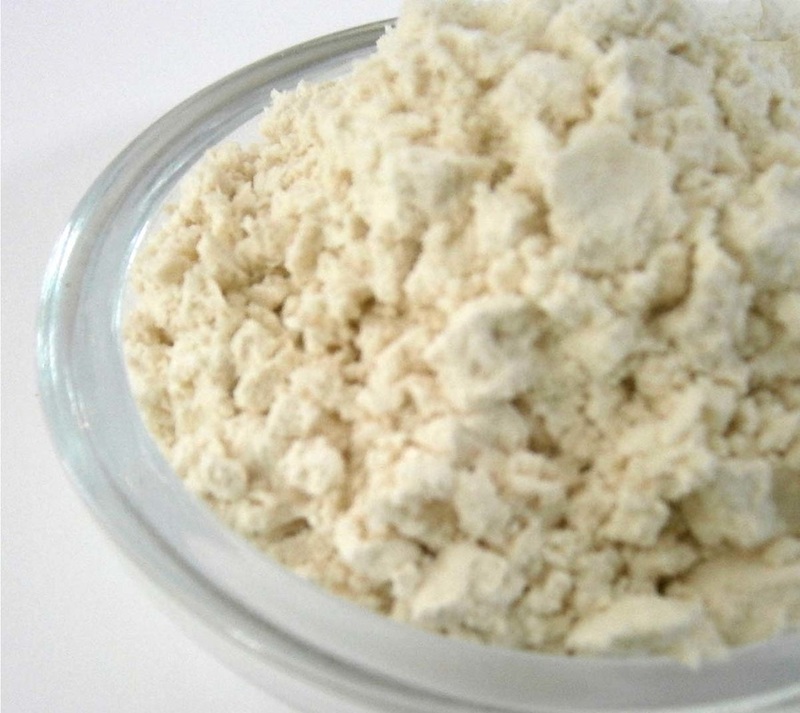 Our Micronized L-Glutamine powder is the newest pure protein powder that we carry. Glutamine being the highest protein that is in demand by the skeletal muscles and is also extensively used by our immune system and the gut to maintain peak performance, it is just but vital to replenish our diet with consistent glutamine supplementation. Being very important in it's protein metabolism role, it also reduces the amount of muscle deterioration or breakdown during intense physical stress or exercise, proven to be cell voluminizing and cell hydrating, maintains the integrety of your gut and is the primary fuel of your immune system so you won't get sick easily. L-Glutamine as to recent studies can increase Growth Hormone levels when consumed, which helps metabolize body fat and support new muscle growth. 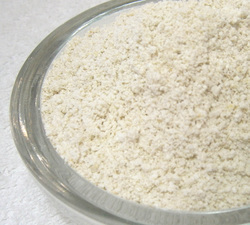 This is a 200 mesh powder which makes it very fine to easily dissolve when mixed with milk, whey or other liquid drink. This is Pure HPLC certified and Laboratory Tested L-Glutamine Powder. Best Consumed after intense exercise/workout. Among the most beneficial and effective supplements in any sports nutrition program are branched chain amino acids. These are the essential aminos leucine, isoleucine, and valine. BCAAs are essential amino acids and, thus cannot be synthesized by humans and must be derived from the diet. The essential branched chain amino acids (BCAA's) are of special importance for athletes because they are metabolized in the muscle, rather than in the liver. Evidence links BCAAs with the regulation of tissue building (anabolic) processes. BCAAs are reported to limit protein degradation and loss of muscle mass, spare lean body mass during weight loss, promote tissue health and muscle protein synthesis, and anabolic growth processes. The BCAA powder we supply is HPLC certified and Laboratory Tested Branch Chain Amino Acid Blend of 2:1:1 ratio of l-Leucine:L-IsoLeucine:L-Valine. It doesn't contain Lecithin or Soy just pure unadulterated BCAA powder. Serving size of 5 grams of this powder will yeild 5 grams of pure BCAA powder. Best mixed with Whey protein powder, Pre and Postworkout drink, any kind of juice or liquid/powdered drink solution. It will surely help with repairing, recuperating and rebuilding muscles after intense training and will give your body an edge in your anabolic muscle growth quest. Amino acids are the building blocks of protein. We make sure that the Amino Acid capsules we carry are only from the best source of peptide bonded and highest quality free form amino acids. Our Amino Acid capsules/tablets are 100% natural formulation providing 2.2grams of protein per capsule/tablet, no additives like soy or sugar only pure amino acids. Supplementing Amino Acids is very beneficial as they aid in repair, growth and development of muscle tissue. Since these are already protein in it's simpliest form - Amino acids are readily assimilated to create the necessary body proteins and enzymes. Bodybuilders, those who are wanting to maintain and gain lean mass, vegetarians, people with allergies, stress related fatigue or who are hypoglycemic can well benefit with Amino Acid supplementation. Best taken daily every meal, especially before and after workout. Take 3-5 capsules/tablets every meal or before and after workout. Amino Acid capsule/tablet specs: Click Here! Nutrivolv brings you their own blend of Super Nutrifood. It is a special blend of carefully chosen superfood that is a natural and organic replacement of synthetic factory manufactured multivitamin.mineral formulation most commonly found in retail stores, in a ~1000mg capsule full packed with nutrient dense SuperFood. Naturally Sourced Vitamins and Minerals absorbed and used by the body more efficiently and effectively. More so, it is rich in antioxidants that fight off free radicals. This is very economical yet high quality product will surely be one of your favorites! Product Specs for this product please click here! Proteins are known as the building blocks of Life. But most Animal based protein powder, although high in protein, also contain high saturated Fat & Cholesterol. And it is a constant struggle in looking and preparing your perfect day to day meal with a good amount of protein without the cholesterol and fat. We have expanded our mainstay products to include the best vegan or plant based protein we can source! Now if you are a Vegan or somebody who practice protein rotation in their diets to avoid long term food allergy or to get the benefits of both worlds or to simply detox off your body with an animal protein source, then search no more as we have solved that problem for you! Vegan Protein is a rich source of complete Amino Acids more than what animal based protein sources offer without the unwanted Fats and Carbs - that pose real health threats in the cardiovascular system. Check out our newest Vegan Protein - the purest and cleanest source! L-Lysine (Increases Collagen & Calcium Absorption, Strengthens the Muscle & Immunity). High in Glutamine (Great for Muscle Recovery and Immunity in the GUT). HypoAllergenic or Allergen-Free Source of Protein. Best Digestability and absorbability, Easy on the Stomach (No Gas or Bloating!) and Pea Protein is a slow digesting kind of protein making you feel full longer. Helps Lower High Blood Pressure. Lactose Free & Gluten Free. Helps the Kidneys to flush out toxins, Delays the Onset and Extend the lives of those suffering from Kidney Disease. The safest most effecient source of protein for your Kidneys! Nutrivolv Pea Protein Isolate brings you only the best source of Pea Protein Isolate - Organic and Non-GMO source! 28 grams of Protein per serve. No Artificial Flavor or Sweetener, just Pure Quality Pea Protein Isolate Powder! Best tasting - Clean Neutral Taste and good mixability/solubility in any liquid, does not compete with any liquid or drinks you want it mixed with. Great for an energizing Preworkout/Meal Replacement and also best as an after workout protein option. 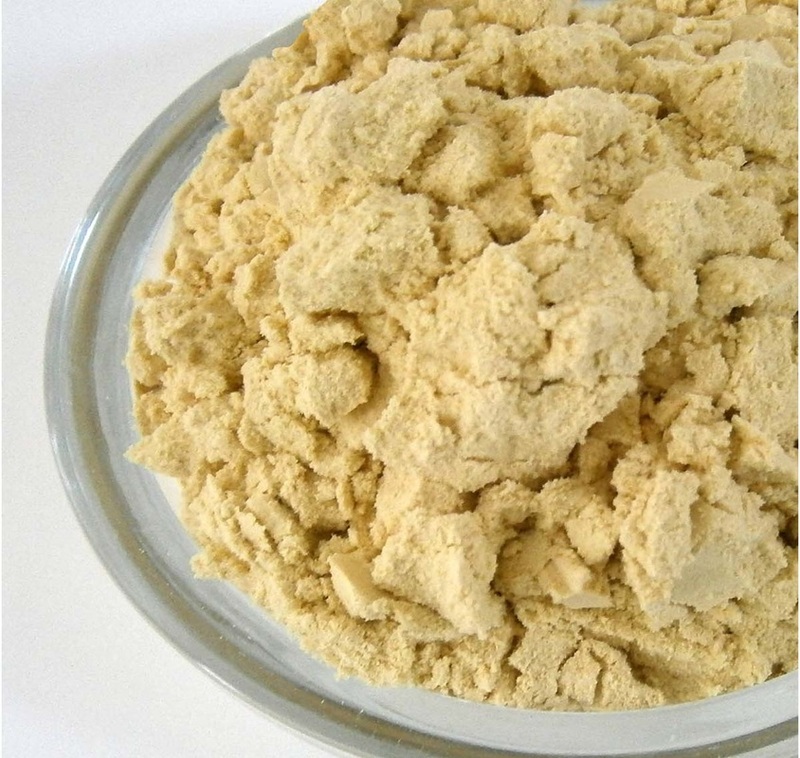 Nutrivolv brings you only the BEST source for your Soy Protein Isolate Powder - ADM USA Ardex Soy Protein Isolate 90%! 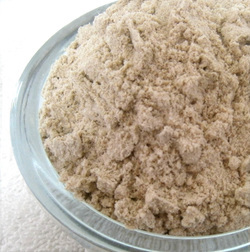 ADM's Soy Protein Isolate is the industry leader in Taste, Function and Safety. As a USA sourced and manufactured Soy Protein we can assure you are only getting the best soy protein powder! Clean Neutral Tasting, Ease in Mixability/Solubility with any liquid/drink you want it mixed, without competing in taste with the base liquid. High Protein Source, yields 21 grams of Protein for every 24 grams of Serve / about 27grams protein for every 30grams of serving. No Artificial Sweetener and Flavor just Pure Quality Soy Protein Isolate Powder! Best Vegan Source of Protein with a Perfect Score Protein Quality Score same as Egg White Protein. *Order in Bulk to get bigger discounts!